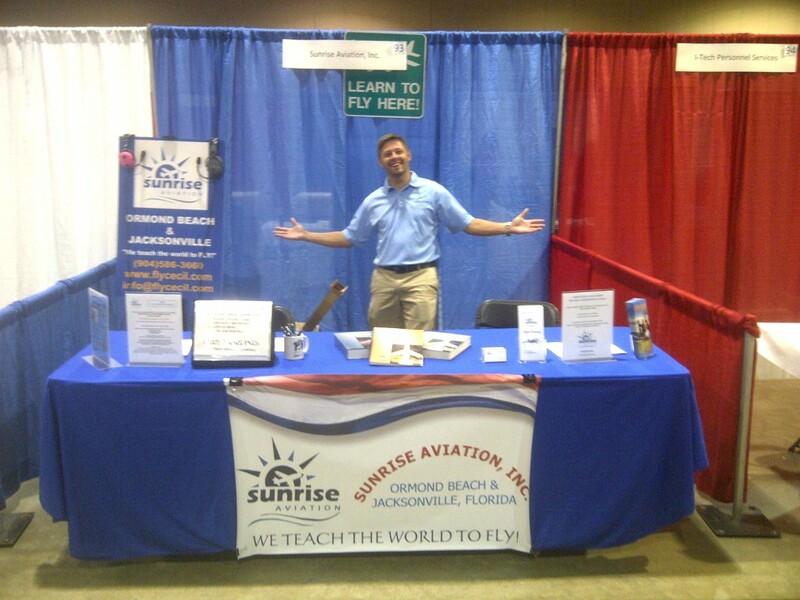 Sunrise Aviation participates in Jacksonville Career and Resource Fair hosted by the City of Jacksonville at the Prime Osborn Convention Center. FSCJ and Sunrise’s own flight students, Ben Hakenson and Elliot Corderio were on hand to talk with anyone having a desire to be a professional pilot or pursue a career in aviation. The event was huge success for Sunrise Aviation, Florida State College at Jacksonville, and the City of Jacksonville.